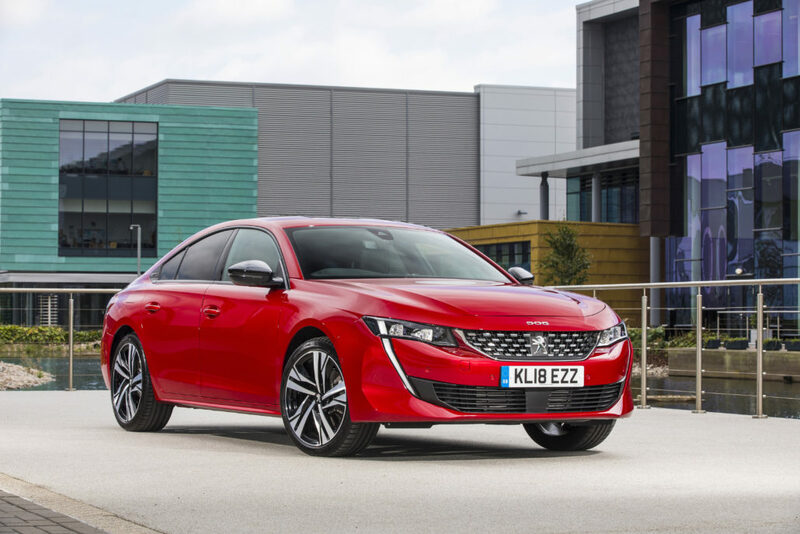 With its low, dynamic shape, finely detailed grille (a stunning checkered grille comes with the higher spec vehicles) and steely muscular style, the new Peugeot 508 is a really good looking car. It is shorter than the old model, by 8cm, and lower too. 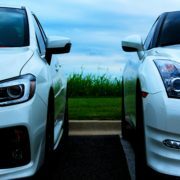 It comes with frameless doors, adding to the overall sporty look, which allow a lower roof without comprimising the size of the hole through which you’re climbing to get into the car. If you get the sporty GT line, the look will be completed with LED headlights and rear trim. The Peugeot 508 is as stylish inside as it is out! 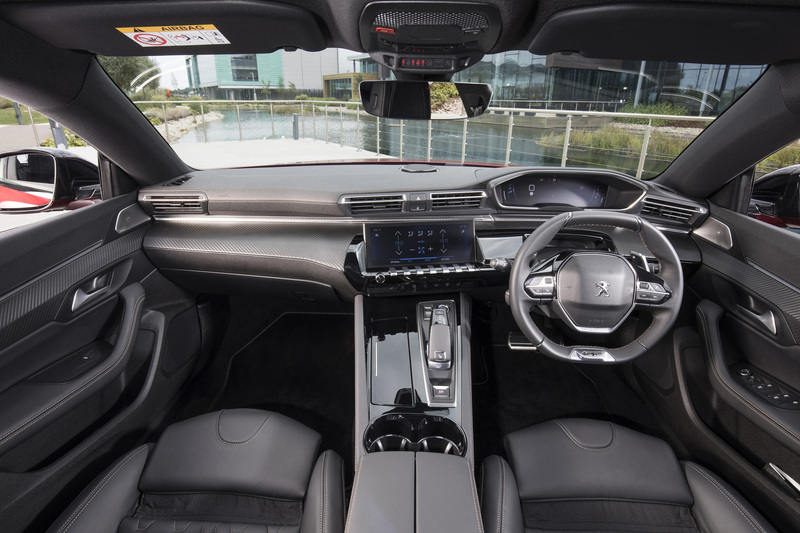 Experience the Peugeot i-Cockpit with its agile driving position with compact steering wheel, configurable head-up digital panel and 8″ (10″ on higher specs) HD touch-screen (all with Apple CarPlay and Android Auto). Up front you will find big and plush seats with plenty of room, however head space is limited in the rear seats due to the sloping roof. There is plenty of storage compartments in the car, and a pull down armrest with cup holders in the middle of the rear seats. In terms of storage, the 487 litre boot is a decent size with extra wide tailgate opening for practicality. The 508 comes with a host of advanced driver assist solutions to help ensure your safety as well as the safety of your passengers and other road users. This includes an infa-red camera at the front of the car which puts Night Vision technology at your disposal, making it easier to spot pedestrians or animals in the road at night. 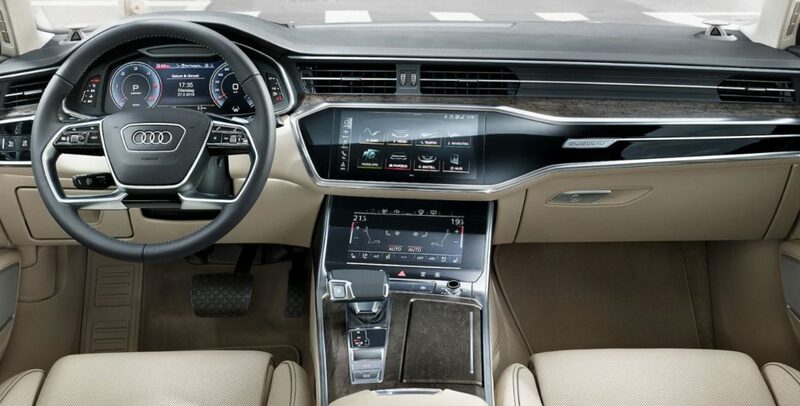 In terms of connectivity, the touch-screen is compatible with Apple CarPlay and Android Auto, and can come with a wireless charging pad and up to four USB ports. 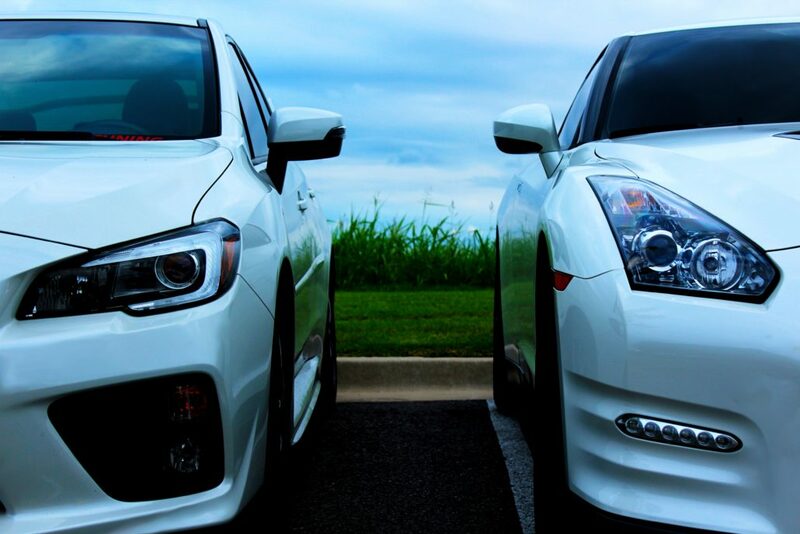 There is one petrol and two diesel engines available. The petrol engine is a 1.6-litre with 180bhp and the two diesel engines are a 1.5-litre with 130bhp and a 2.0-litre with 160bhp. Nearly all engines come with an automatic 8-speed gearbox. 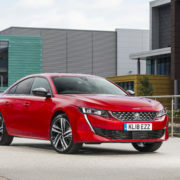 The new Peugeot 508 starts at €32,400 for the basic model and from €38,170 for the sporty GT model, and is available to order now. 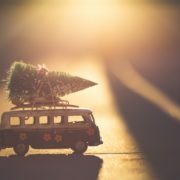 With Christmas and the New Year fast approaching, we look at the top 12 car releases we’re most excited about in 2019. 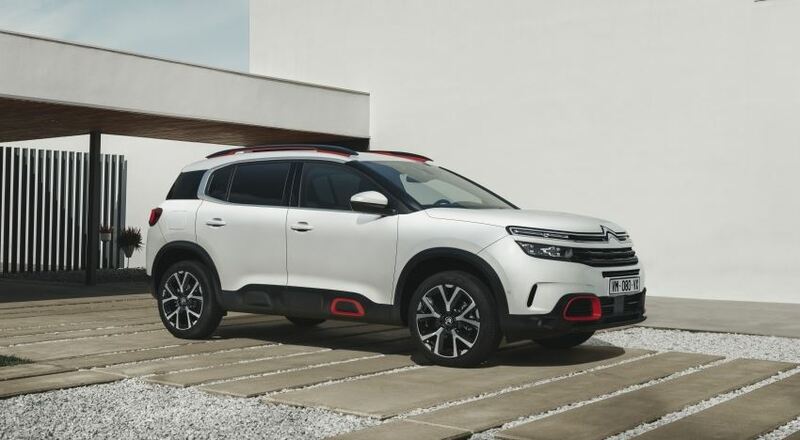 The first on our list is the Citroen C5 Aircross. 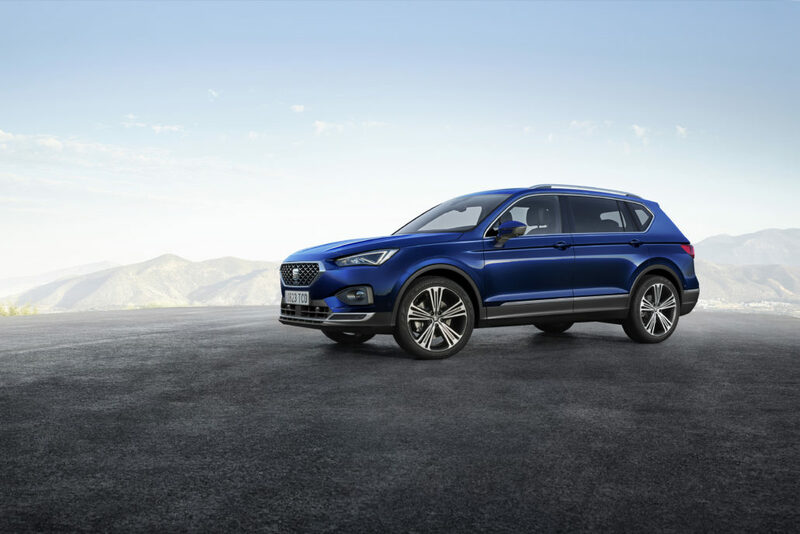 Going up against the Nissan Qashqai, this large practical five-seat family SUV will be hoping to win over drivers with its overtly adventurous design. Inside the three rear seats incline, fold and slide and the boot will hold between 580-720 litres of cargo depending on how far you slide the seats. It will initially be launching as a front-wheel drive but a four-wheel drive model and plug-in hybrid model are both expected to join the range at a later date. Returning to Irish roads after 14 years, the Toyota Camry will be replacing the Avensis and is expected to be released in the summer. While it is new this side of the water, the Camry is one of the best selling cars in the world, and was the 7th best selling car in the world in June this year. It will be available as a hybrid with a 2.5-litre petrol engine which will be supplemented by an electric motor. It shares its chasis with the new Lexus ES executive platform meaning it has the same flexible TNGA (Toyota New Generation Architecture) platform. 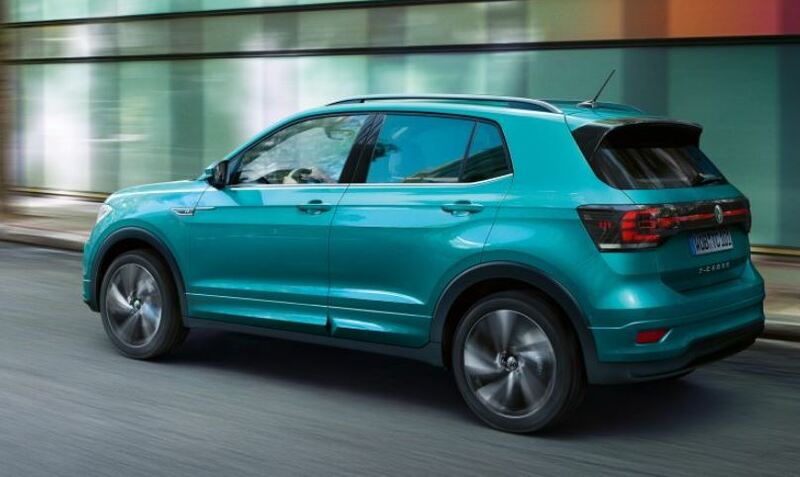 Coming in early 2019, the Volkswagen T-Cross will be entering the ever burgeoning small SUV/Crossover segment and will be looking to take on the SEAT Arona, Citroen C3 Aircross and the Kia Stonic. 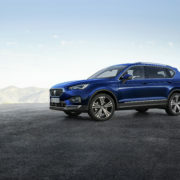 The T-Cross is said to be roomier than most of its rivals, which may give it the edge over the competition, with a big 455-litre boot, it has a boxier, more practical look the larger T-Roc. Functional and versatile, with its crossover design, wide range of customisation options and outstanding practicality for everyday driving, it is the perfect combination of versatility and compact design. 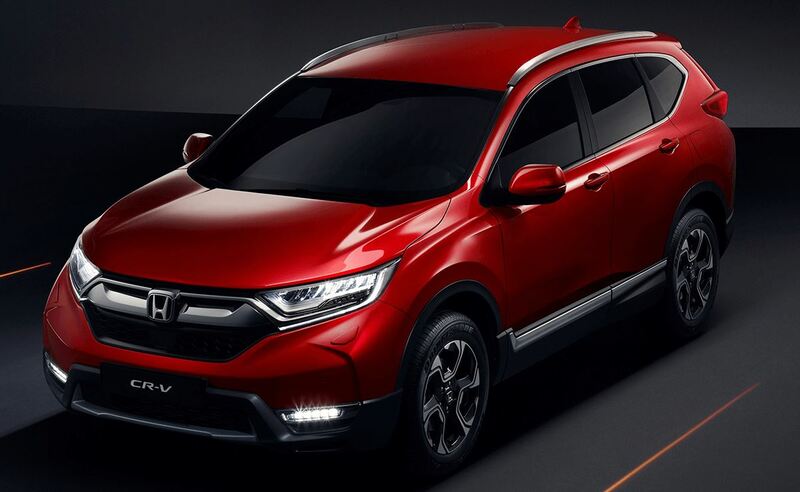 Honda’s answer to the Nissan Qashqai and the Kia Sportage, the Honda CR-V comes with the option of seven or five seats. The new 1.5-litre petrol is available to order now with prices starting from €33,500 and first deliveries are due to arrive in early 2019. The efficient new hybrid model will be released later in 2019 and will replace the diesel model. The hybrid version comprises of a 2.0-litre engine, two electric motors and a single fixed gear ratio, a system Honda calls Intelligent Multi Mode Drive (i-MMD). 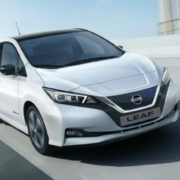 The electric motors will allow pure EV driving at low speeds, while the petrol will take over at higher speeds or for extra bursts of power. Going into production in the summer, the first customers should get delivery of the new Mini EV in late 2019. The design is based heavily on the Mini EV concept car displayed at the Frankfurt Motor Show in 2017 and include the car’s funky aero effects such as little vane spoilers in front of the rear wheels, as well as the show model’s distinctive blanked-off radiator grille. 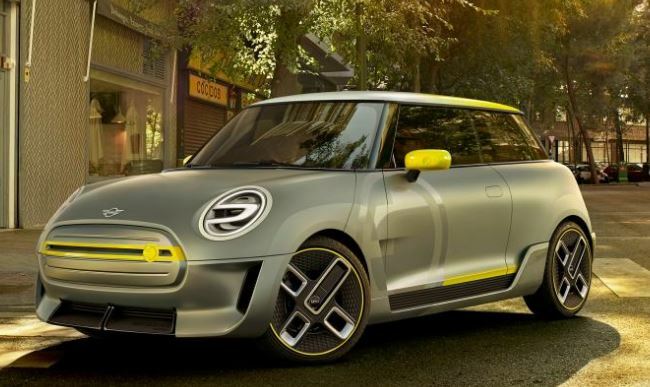 The Mini EV will be instantly recognisable as a Mini but with a new sense of style and bright yellow accents which will set it apart. It is expected to have similar batteries and motor as the system in BMW’s i3 (BMW own Mini) giving a range of around 300km. 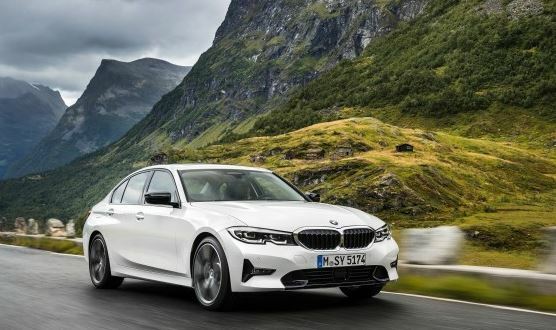 Arriving in March 2019, the 7th generation of the 3 Series features the brand’s familiar design, a similar interior layout and the same promise of a comfortable ride combined with sporty and nimble performance. The new 3 Series will be lighter and more powerful. It’s also slightly longer, bringing more interior space and the technology will be upgraded from the current model. The new seven-seat SUV from SEAT, the Tarraco, is available to order now and prices start from €34,700. 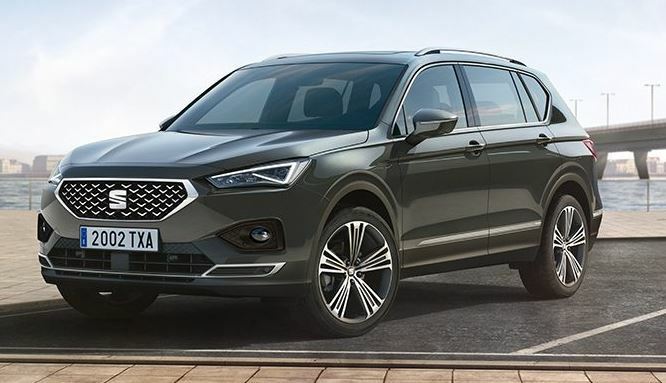 Given the popularity of its rivals, including the Skoda Kodiaq, we expect to see plenty of Tarraco’s on the road in 2019. It is 40mm longer than the Skoda Kodiaq and the Volkswagen Tiguan, so will feel roomier, and the extra room combined with the promise of nimble and comfortable performance it could be a compelling alternative to the Kia Sorrento, Skoda Kodiaq, Hyundai Santa Fe and Volkswagen Tiguan. It is being released with the option of petrol or diesel engines and a plug-in hybrid will be added to the line up at a later date. Audi’s first mainstream electric car is arriving early 2019. It’s about the same size as the Q5 and the batteries will offer a driving range of around 400km. 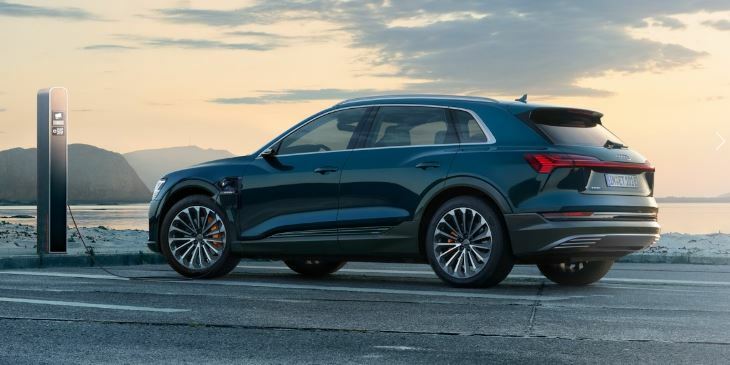 The e-tron is a bit slower than its electric rivals in the same price range including the Jaguar I-Pace, the Tesla Model X and the forthcoming Mercedes EQC however we doubt this will put off Audi fans who are looking for an all-electric vehicle from their favourite brand. And you are sure to get the luxury, technology and drive you expect to get with an Audi. The charging system is particularly neat, with a 150kW charging port on offer, the e-Tron can recover 80% of its charge in less than half an hour. 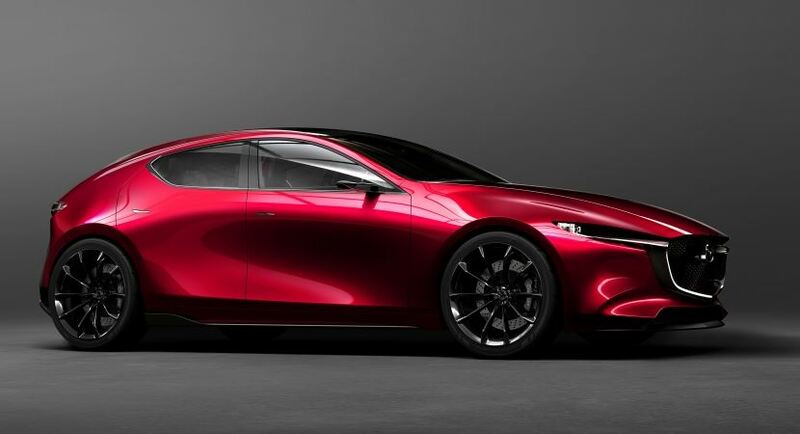 One of the highlights from last year’s Tokyo Motor Show was the Mazda Kai concept, which previewed the all-new version of the Mazda 3 and it’s said that the sleek and swooping lines of the concept will be incorporated. The concept had a dramatic nose and bonnet, with smooth flowing lines and a swept-back windscreen that’ll certainly stand out if they make it through the production version, making this a car you’ll want to show off. The Mazda 3 will feature Mazda’s new Sky Activ-X petrol engine. Using new compression and ignition technology, this motor is said to deliver diesel-like efficiency in a petrol format. It’ll offer the economy of a diesel with the smooth nature and lower emissions of a petrol. 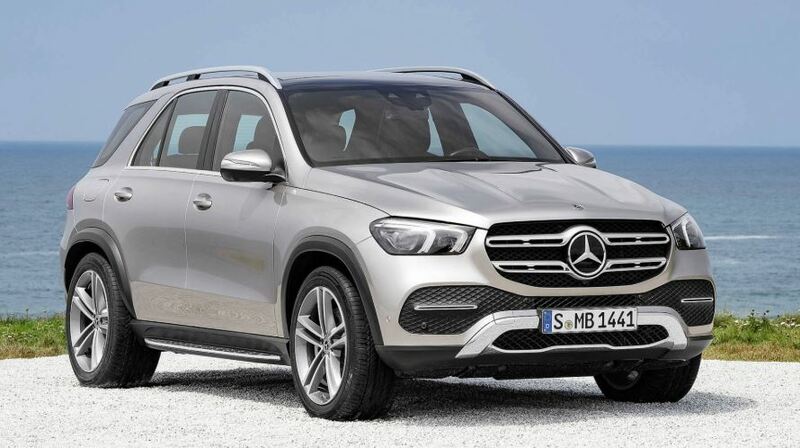 Coming out in early 2019, the new Mercedes-Benz GLE looks considerably more modern than its predecessor as well as being longer and taller. Up front you will find two 12.3-inch screens and the car comes with the option of cutting edge technology including air suspension linked to a camera that adjusts each wheel individually to pre-empt potholes and bumps on the road ahead which can also lean into corners like a tilting train, which will make driving around Ireland’s less maintained roads much easier. A plug-in hybrid and AMG version will be added down the line. 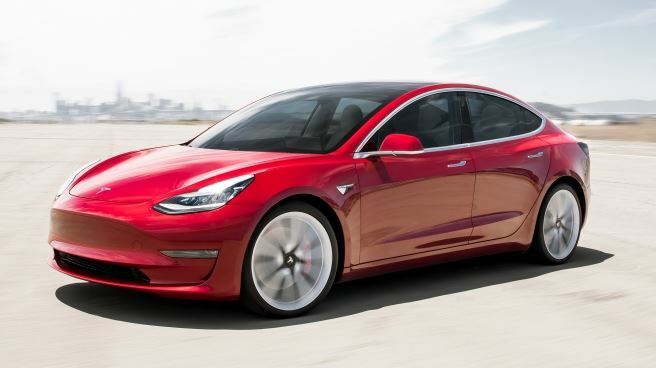 Tesla’s most affordable model to date is expected to hit Irish stores in 2019. In August this year the Model 3 was the 5th best selling car in the US, and was by far the most expensive in the top ten. Featuring a 15-inch centre touchscreen display, you can expect the Tesla Model 3 to have a futuristic feel. The entry-level model has a driving range of approximately 350km. Coming in 2019, the new luxury coupe was first introduced in 2014 as the Prologue concept car. Along with a V8 engine, bi-turbo petrol engine and four-wheel drive you can expect state-of-the-art hybrid and autonomous technology as well as a serious turn of speed and impressive interior. 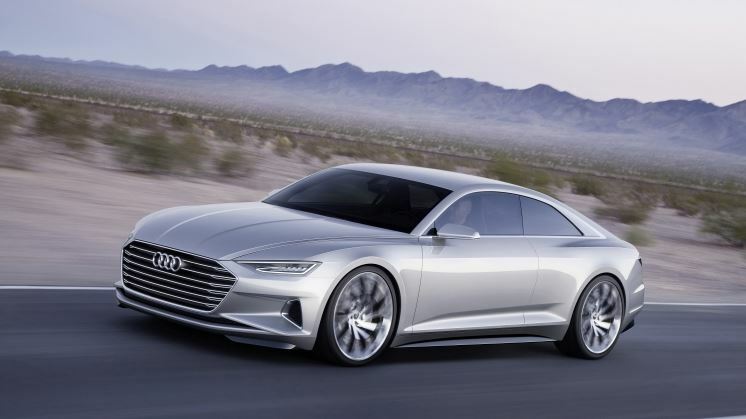 The final look of the Audi A9 is not yet confirmed but it’s likely to be like the Prologue concept car. We do know it will be a high-end two door coupe and will be Audi’s rival to cars like Mercedes SL and BMW 8 Series. 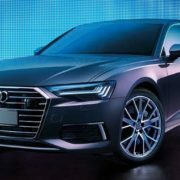 2019 brings us the highly anticipated release of the new Audi A6. An upgrade on the previous model this new model gives the A8 a run for its money. Available to order now, the new A6 comes with the same luxury and technology as the A8 at a portion of the price. The design remains typically Audi with the large front Grille, the sharp creases along the sides and pronounced arches on the back through to its full HD LED matrix lights. Inside the vehicle the technology is second to none. The Air suspension gives you five driving options with the additional option of going higher or lower on each one. The technology pack gives you a fantastic 360 camera with the added 3D image function, so you don’t miss any angle. This vehicle comes with rear wheel steering whereby the back wheels move the opposite way to the front when driving at low speeds, think roundabouts. The interior feels and looks lovely, attention to detail has been approved at every step of the way. In the back there is more head, knee and shoulder room that’s its predecessor. The technology pack comes with extras such as the large 10 Inch screen, virtual cockpit, wireless charging, night vision and voice commands. Added tech options such as driver assist help steer the vehicle to keep you in lane. This vehicle also comes with adaptive cruise control. The efficiency of the new Audi A6 comes from it being a mild hybrid whereby the car starter / generator when braking or slowing down stores energy and sends it back to the lithium battery which helps to power the entertainment unit. The drive of this vehicle is extremely comfortable and luxurious as well as being very quiet on the road. The most popular model seems to be the 2 Litre diesel with comes with an incredible 200 horse power. Its extremely snappy when using pedals in manual drive. Overall this vehicle has a coupe like silhouette that’s a less expensive version of the Audi A8. Audi describes this car as “distinctive, unmistakable” and we tend to agree. We are now quoting for the new Audi A6 with vehicles ready to hit the road from January, contact us on 01-4605250 or info@jensenfleet.ie for more information. The new BMW X4 has an athletic exterior with a distinctive coupe shape. It has a sporty and elegant interior and features one of the most intelligent driver assistance systems. The front of the BMW X4 features the brand’s trademark kidney grille and twin headlights. 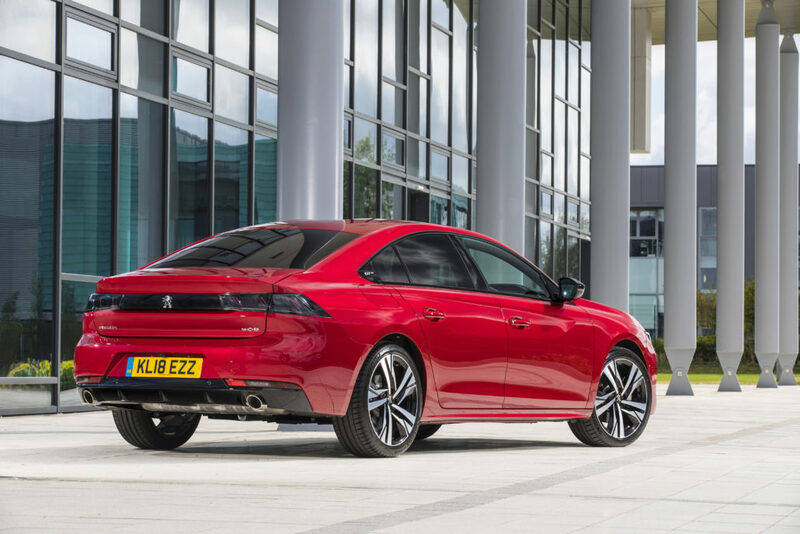 The side profile is marked out by a sweeping shoulder line, with clearly defined haunches and distinctive wheel arches while the lean coupe roofline is enhanced by a smoothly rising sill line. Further emphasising the sporting character of the vehicle are the slim rear window and the extremely low-slung roof spoiler. The X4 comes with adaptive LED headlights as standard which include low-beam and anti-dazzle high-beam headlights and turn indicators with full LED technology. They also feature variable light control for excellent illumination of the road ahead and better visibility in the dark. Inside the new BMW X4 you will find individually adjustable Sport seats for the driver and front passenger featuring numerous manual adjustment options including backrest width, fore-and-aft position and backrest and seat angle, giving you the ultimate comfort. The panoramic glass roof provides fresh air when open, and when closed it floods the interior of the X4 with natural light. It opens and closes completely automatically at the push of a button, and is equipped with slide and lift functions, roller sunblind and wind deflector. Sitting in the driver seat you will find the driver-orientated cockpit which offers a focused driving experience. The optional fully digital instrument cluster and the optional full-colour BMW Head-Up Display bring all the relevant information to the drivers’ field of vision – meaning there’s no need to take your eyes off the road. Information such as as the current speed, navigation directions, speed limit information and more are all displayed. 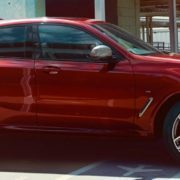 The new BMW X4 features Driving Assistant Plus which offers greater comfort and security during monotonous or complex driving situations including traffic jams, stop-and-go traffic or long journeys, along with navigating junctions and lane changes, making driving much easier. Operating the Infotainment system in the X4 is so easy, you, the driver, can control it via the touchscreen, the iDrive Controler, voice or gesture control, whichever works best for you. 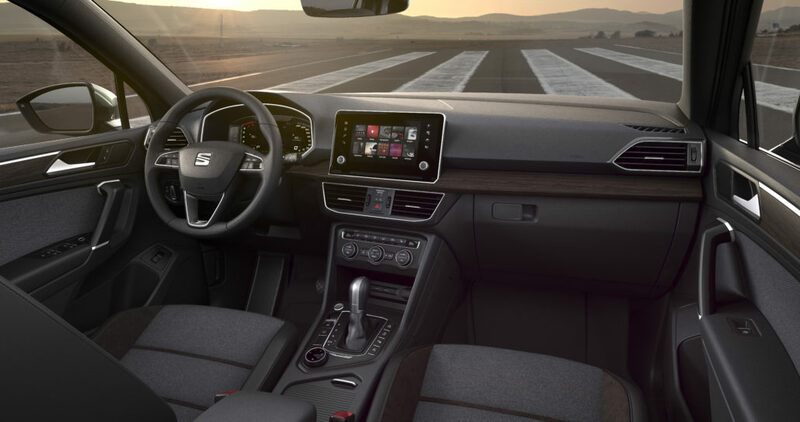 And the optional built-in WiFi hotspot, which uses the LTE standard to allow for a paid internet connection, will keep you connected on the road. Prices for the BMW X4 start from €67,100. Have you heard of WLTP? 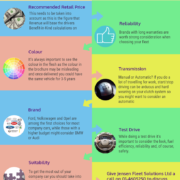 The EU have developed a new test called the Worldwide Harmonised Light Vehicle Test (WLTP) which is being rolled out on all new vehicles that come to the market. 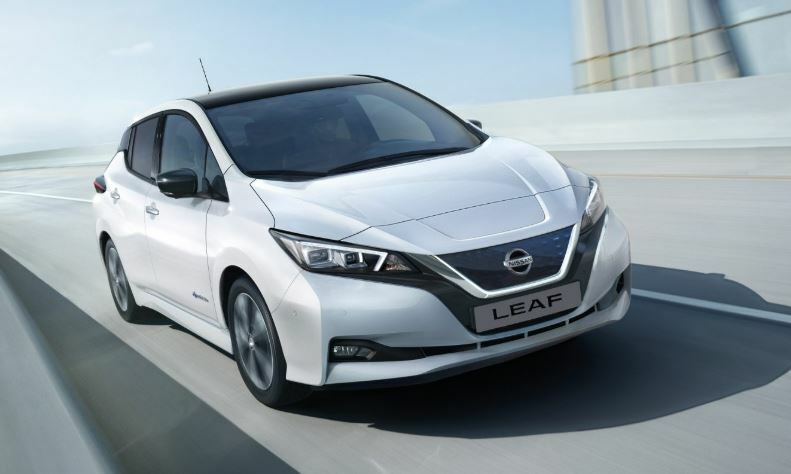 The WLTP will replace the New European Driving Cycle (NEDC) test procedure for establishing the official fuel consumption and CO2 emissions figures for new vehicles. WLTP aims to provide more realistic test conditions that reflect ‘real world’ driving and therefore give a more accurate basis for assessing a vehicles fuel consumption and emissions figures. 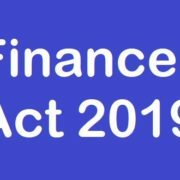 This new testing will apply to all new vehicles registered from September 1st 2018. 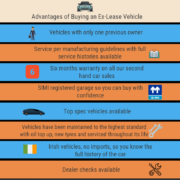 The new test will apply across the board to all manufacturers which may result in a shortage of some new vehicles or even a cut of some vehicle models. To counter this, manufacturers are holding good stock levels which means that now may be a great time to buy! As WLTP is more accurate, the new test figures will most likely result in an increase in the declared fuel consumption and/or CO2 emissions figures that apply to your vehicle. What does WLTP mean for you? An increase in fuel consumption and CO2 emissions figures will result in an increase in the VRT which will likely result in an increase in the vehicle’s purchase price. 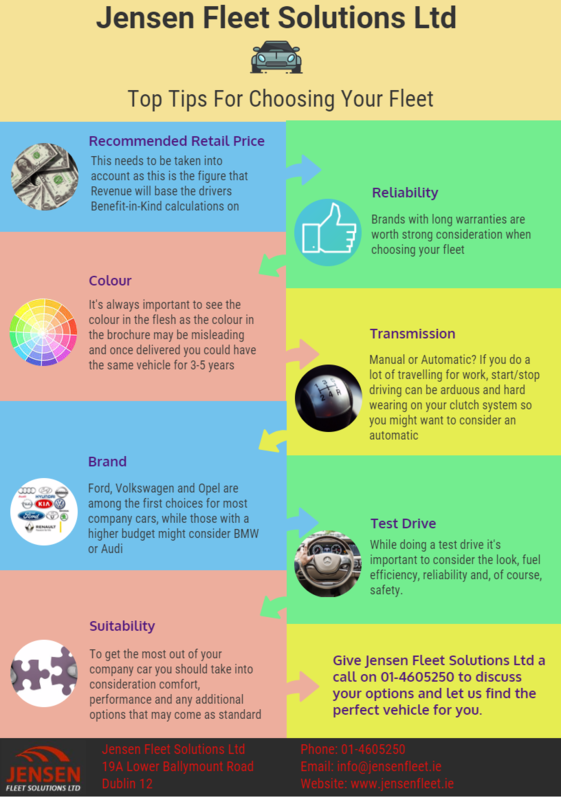 An increase in the vehicle’s purchase price will result in an increase in Benefit-in-Kind due to be paid by employees who have been provided with a company car. Increased CO2 emissions figures will also result in an increase in the vehicle’s Annual Road Tax. 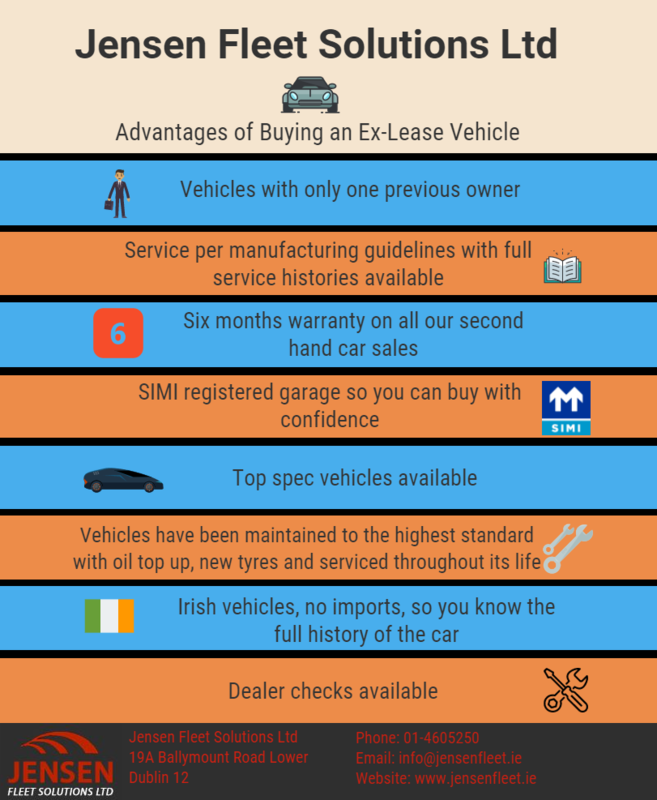 As the new testing will apply to all new vehicles registered from September 1st 2018, now may be a great time to buy before prices increase. 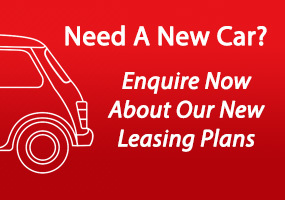 If you have any further questions, please contact our sales team today on 01-4605250.